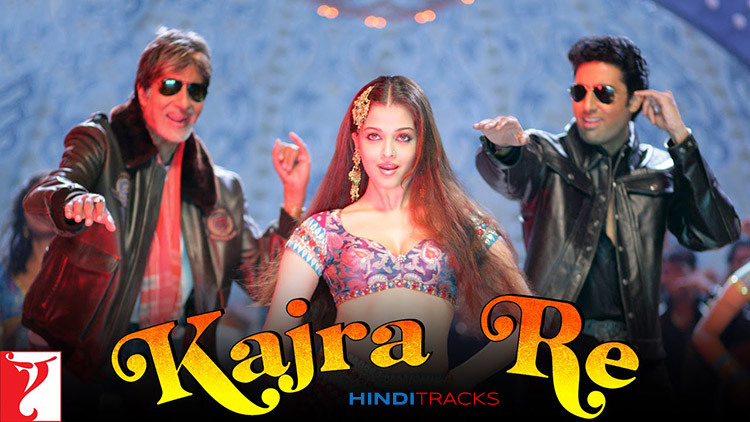 Kajra Re Hindi Lyrics of Kajra Re / Mera Chain Vain Sab Ujda form movie Bunty Aur Babli (2005). Sung by Alisha Chinai, Javed Ali, Shankar Maadevan, lyrics of the song is penned by Gulzar and music composed by Shankar Ehsaan Loy. Featuring Amitabh Bachchan, Abhishek Bachchan and Aishwarya Rai. Music label Yash Raj Films. बवाल हो गया.. रायता फैल गया..
मेरी, अंगड़ाई, ना टूटे, तू आजा..